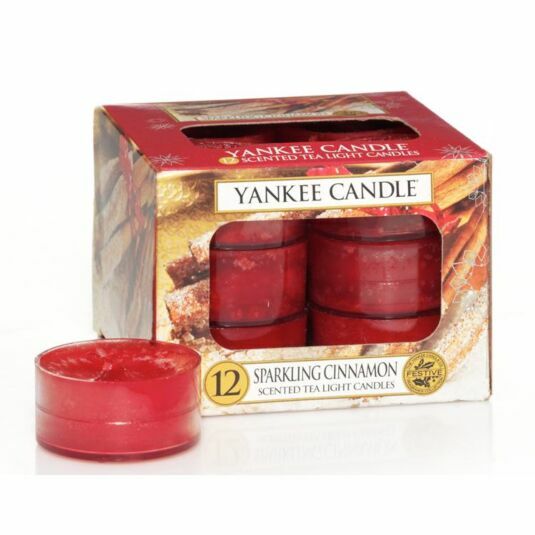 Add a bit of sparkle to any home environment and allow the scents and smells of the holiday season glide throughout the home with this sweet addition to the Christmas Sparkle range from Yankee Candle. Create a holiday atmosphere all year round with this spiced Christmas favourite combining an authentic cinnamon stick scent with a hint of cloves, together creating a warming and comforting fragrance everyone has come to love. These tea lights have a burn time between 4-6 hours and reflect a warm, relaxed sense of style that’s always at home, be it in the bedroom, the bathroom, the living room, or anywhere else you see fit. A fabulous gift for a friend or a treat for yourself.